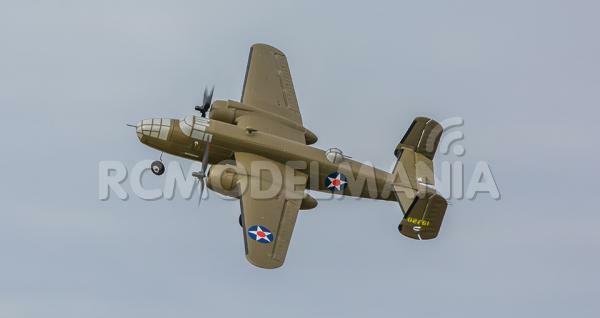 In 1942, sixteen fresh B-25 aircraft and 80 eager crew members carried out one of the most daring missions of World War II: the Doolittle Raid. 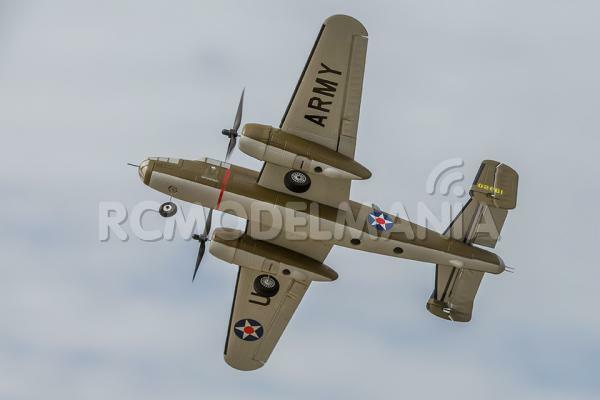 It was a massive effort including months of training, and the coordination of both the Army and Navy, all in complete secrecy against virtually impossible odds. 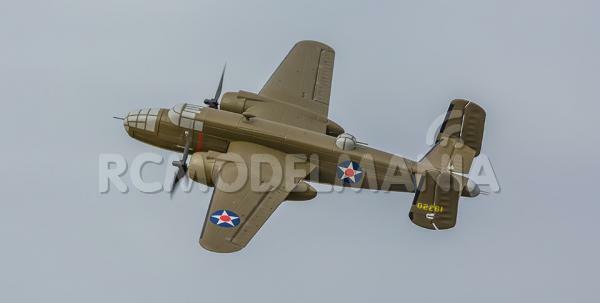 The result of their commitment and triumph rewarded a nation with an incalculable level of inspiration. 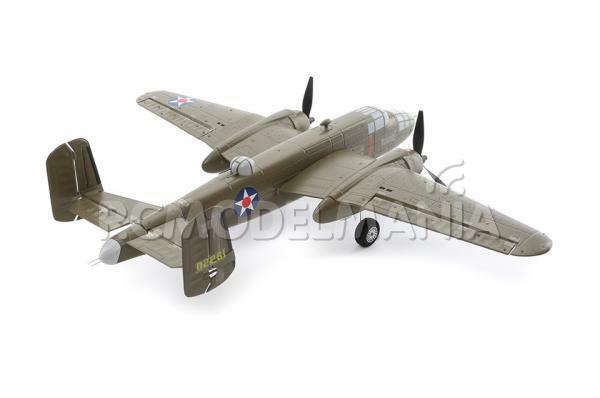 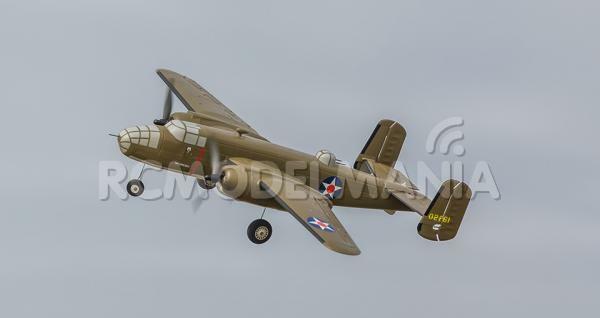 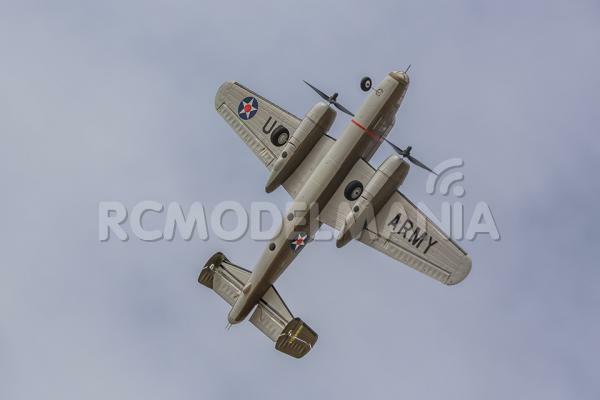 The E-flite® UMX™ B-25 Mitchell is an ultra micro tribute to their heroic spirit in a model that can be flown just about anywhere. 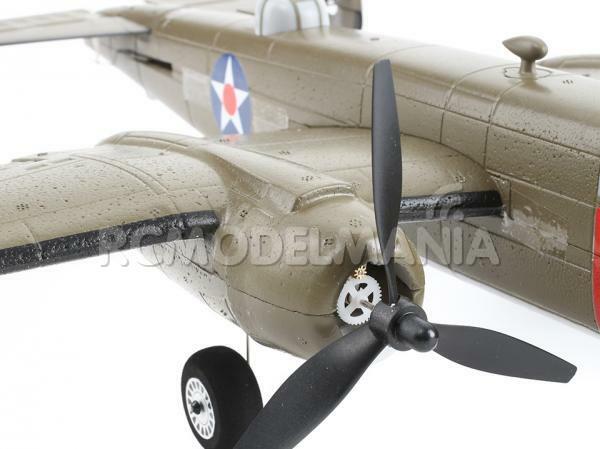 Its realistic outline boasts the muscular appearance of twin radial engines that turn three-blade propellers while critical details such as simulated gun positions and an authentic color scheme mark this model as a fitting tribute to the Doolittle Raiders. 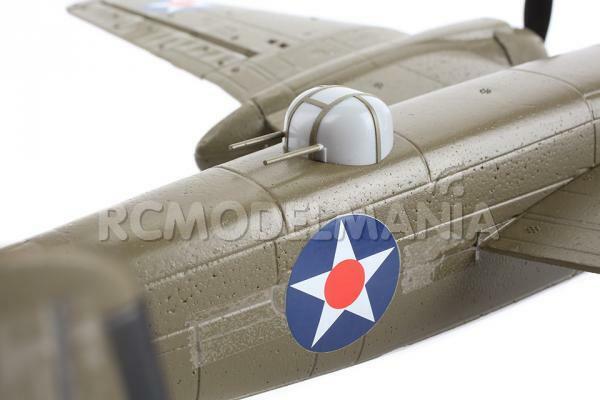 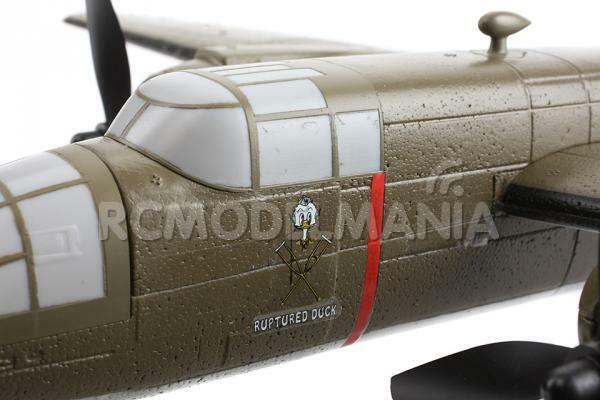 You can make your UMX B-25 even more special with the provided decals that allow you to replicate the markings of any Doolittle Raider. 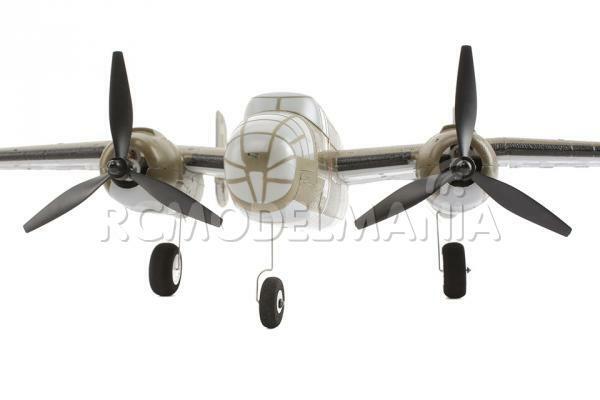 Proportional four-channel control includes the twin-rudders on the distinctive H-tail. 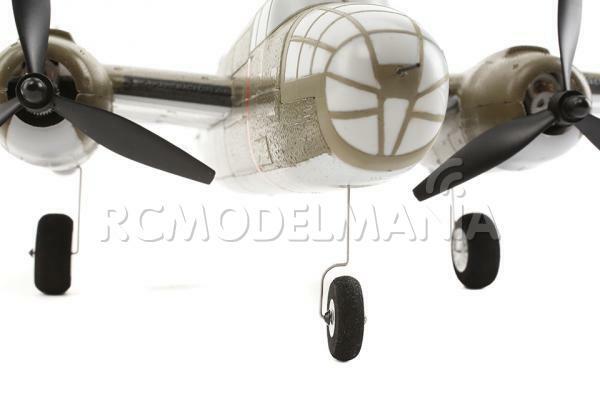 The nose gear is steerable for outstanding ground handling. 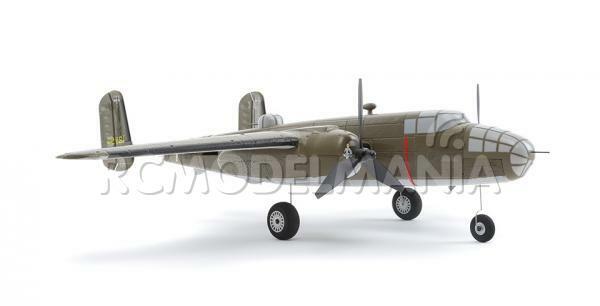 You can unplug all the wheels and simulate flight with the landing gear retracted. 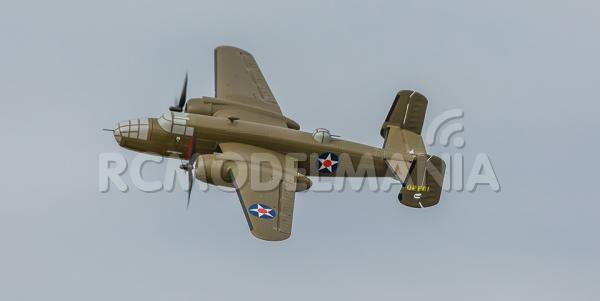 But no matter how you fly, innovative AS3X® technology makes this warbird perform as if you're at the controls of a giant scale machine that's been expertly tuned. 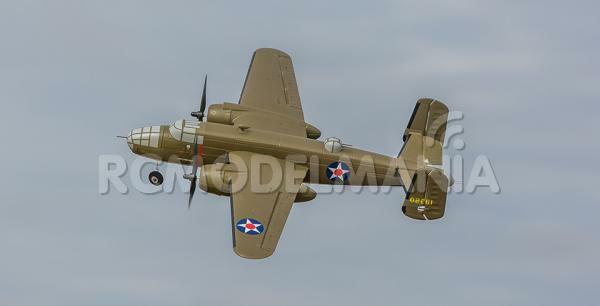 The AS3X system built into the Spektrum™ 6-channel ultra micro receiver is what helps give the E-flite® UMX™ B-25 Mitchell an incredibly smooth feel in the air. 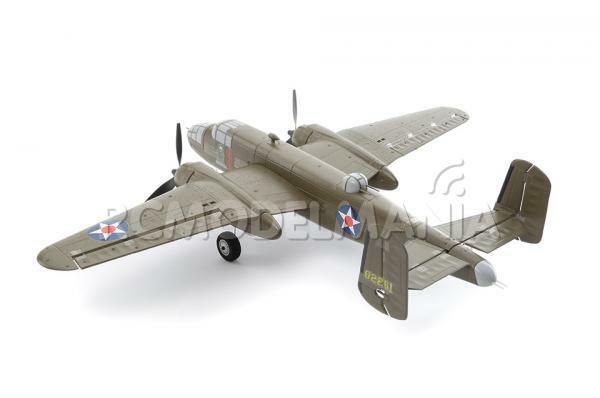 By combining 3-axis sensing with exclusively tuned flight control software, the effects of wind and turbulence are countered so that your workload to fly smoothly is significantly reduced leaving you with natural feeling control that's precise. 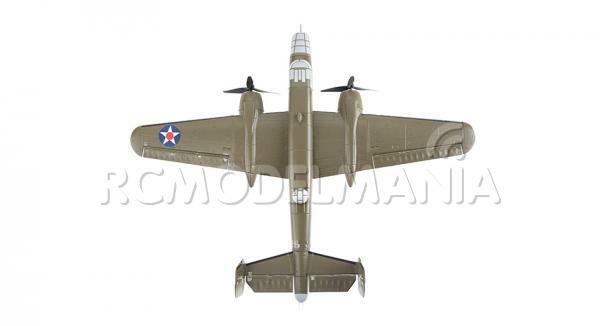 A decal sheet is provided that allows you to decorate your model so that it can replicate any of the sixteen B-25 aircraft used to carry out the Doolittle Raid. 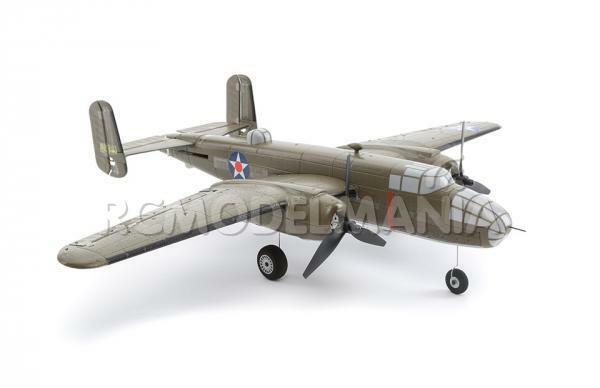 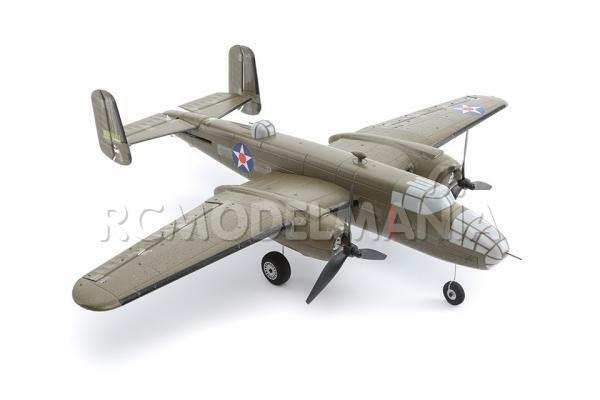 The UMX B-25 comes out of the box fully assembled with incredible detail such as scale guns, three-blade propellers and authentic colors. 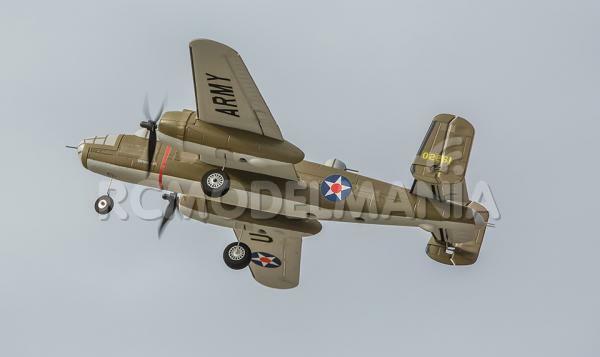 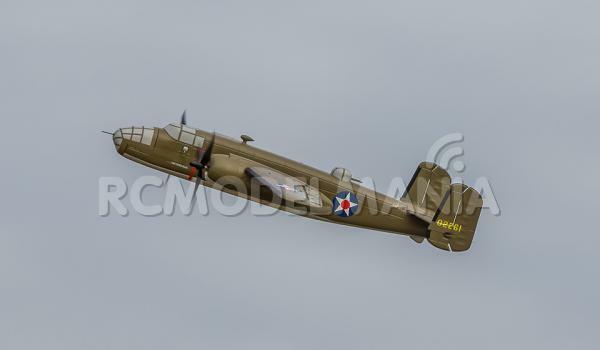 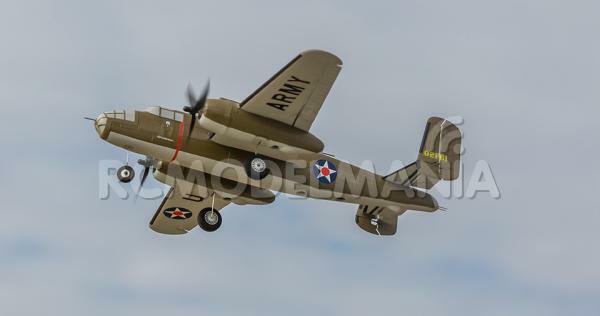 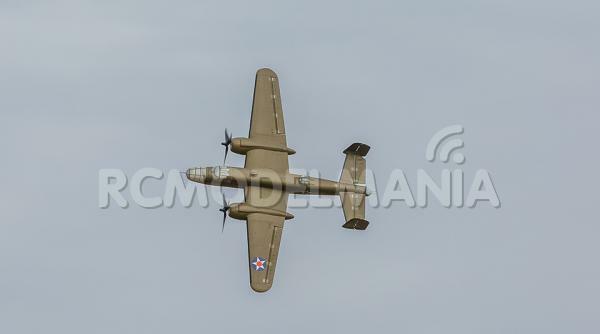 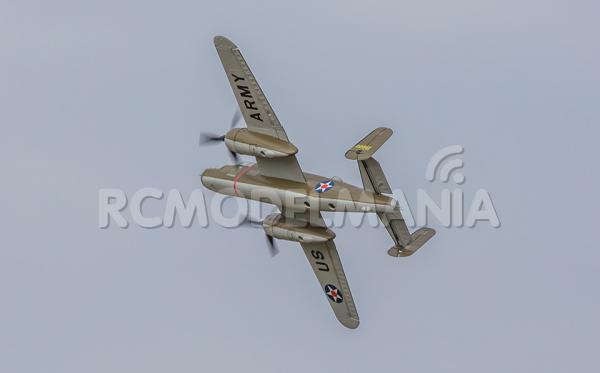 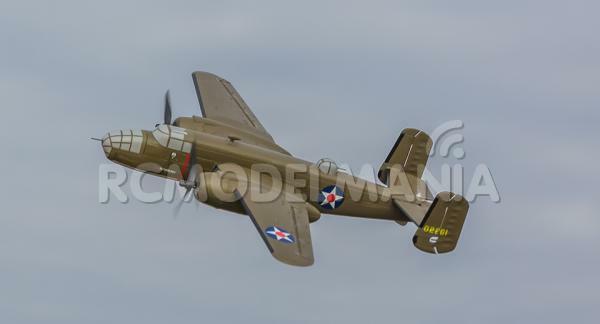 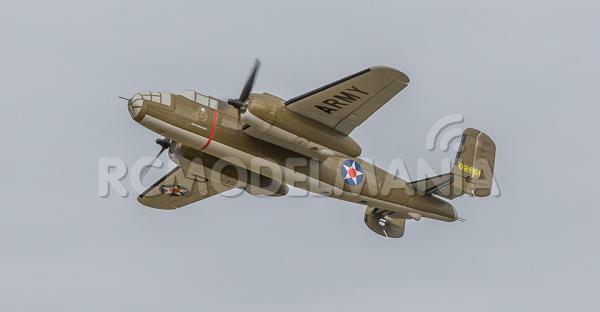 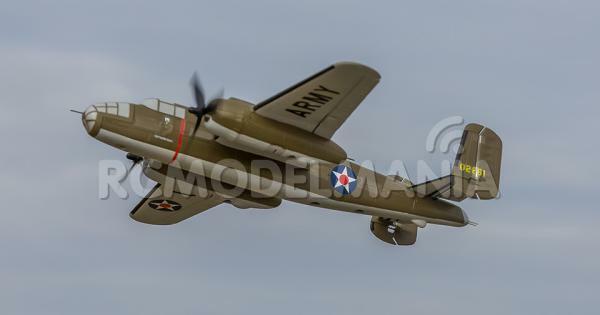 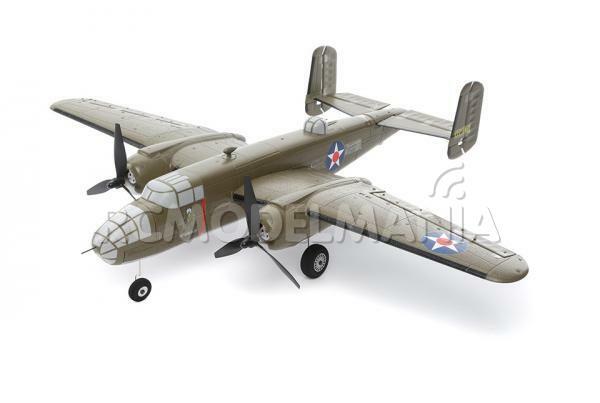 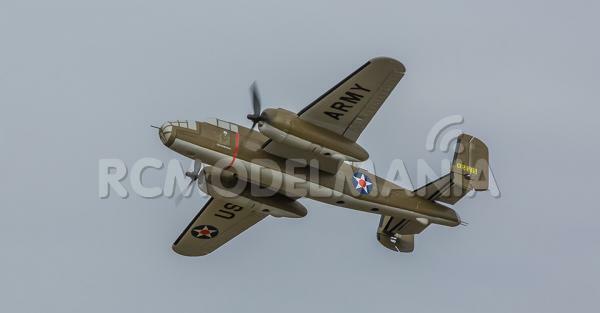 The B-25 is a fully-proportional RC airplane featuring standard controls that include operational dual rudders and a steerable nose wheel. 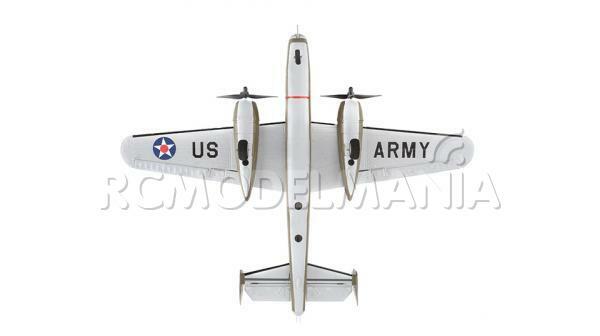 You can unplug all the wheels and simulate flight with the landing gear retracted. 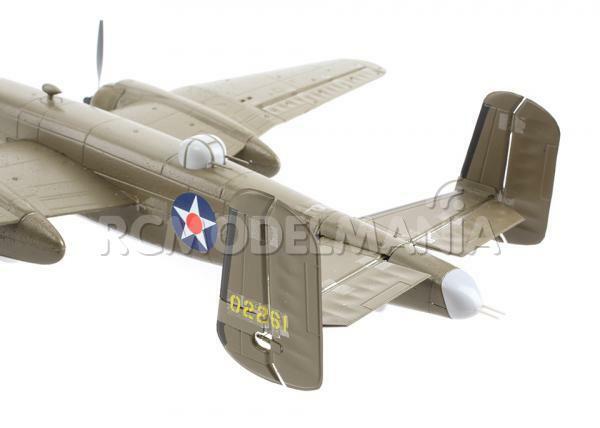 The easy-access battery hatch fits a large 300-500mAh 1S Li-Po battery such as the E-flite 300mAh 1S 3.7V 25C Li-Po (EFLB3001S25) recommended.